Yet again, deportation protesters have stopped a flight from leaving the Gary/Chicago International Airport with illegal immigrants the U.S. is transporting to the U.S.-Mexico border. 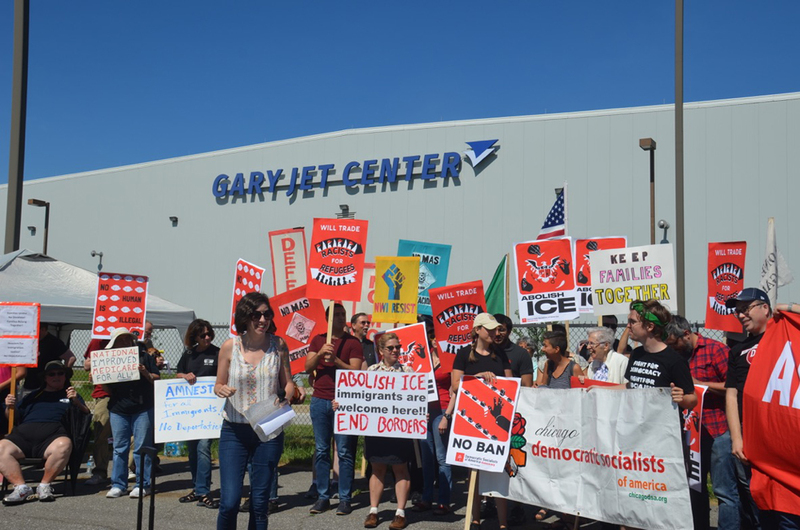 Holding “Keep Families Together” and “Abolish ICE” signs and banners, activists gathered Friday morning at the Gary Airport. The airport is used by the U.S. Immigration and Customs Enforcement (ICE) agency as its Midwest transportation hub to fly illegal immigrants to the border. Northwest Indiana has not been kind to ICE policies. Gary, Hobart, and Elkhart have rejected the building of immigrant detention centers.